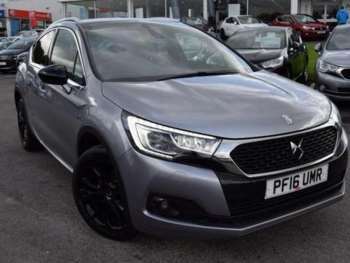 The second in Citroen's new DS range, the DS4, launched in 2011, is a replacement for the earlier C4 but has been designed to take the brand up market and compete with more premium vehicles. It's a stylish design which manages to look like a coupé whilst being a five-door hatch thanks to hidden rear door handles. At launch there were two diesel engines an HDi 110 and 160, both available with a stop/start system. Three petrol engines, developed with BMW, a 1.6 VTi and 155 and 200bhp THP versions completed the range. All are available with a six-speed EGS electronic transmission as an alternative to the standard six-speed manual. In 2012 the 1.6 HDi received a small power boost to 115bhp. As with other DS models there are DSign, DStyle and DSport trim options. The DSign comes with air con, 17-inch alloys, front fog lights, cruise control and a six-speaker stereo along with a full range of safety kit. Go for a DStyle and you get bigger alloys, automatic wipers, front sports seats, part leather trim and rear parking sensors. The DSport adds full leather upholstery, heated front seats, 19-inch alloys and front parking sensors. There's a wide range of personalisation available through the options list so new buyers can tailor the car to their tastes as they can with the smaller DS3. The interior is quite luxurious, especially with the full leather trim, though all cabin trim feels high quality and a cut above other cars in this class. The panoramic windscreen extends back into the roof giving the car a light, airy feel. All models have a maximum 5-star NCAP safety rating thanks to a range of features including six airbags, traction control, electronic stability program, ABS and EBD. 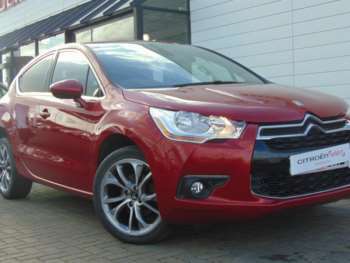 A 2011 VTi DSign on a 61 plate will cost you around £11,000 expect to pay about £1,200 more for a diesel of the same age and trim level. 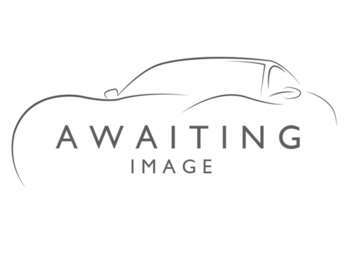 A 12 plate THP 200 DSport will be in the region of £15,000. 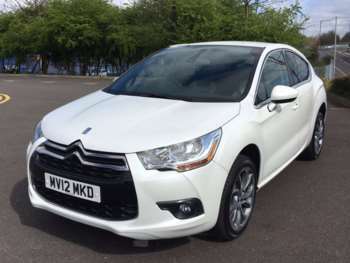 These cars are still quite new so you won't find many outside dealers and there are plenty of low mileage ex-demo models around if you want to buy nearly new. It's too early for major problems to have emerged. THP 200 models suffer from buzzy exhausts and note that the styling of the rear doors means that the windows don't open. Avoid the 19-inch wheels if you can as they make for a very hard ride without improving the handling. Most parts costs should be comparable with the three door DS3. Replacement front brake pads will be about £48 - £32 for the rears – and £85 for front discs. An air filter will be about £12 and an oil filter £14. 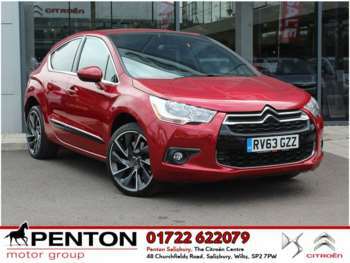 Although the Citroen DS4 for sale has sporty looks the driving experience is more focussed on comfort. The ride quality is very good – except on 19-inch wheels – and though there's good front end grip it feels soft in corners. 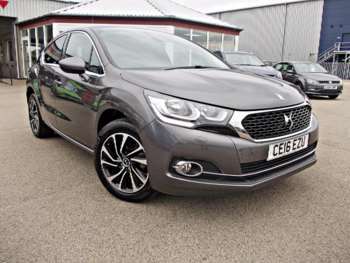 Citroen has paid special attention to the DS4's sound insulation and at speed it's quiet with not much wind or road noise making it a good motorway cruiser. All the engines are powerful and smooth without being especially thirsty or dirty so you'll benefit at the pumps and in lower VED. Go for the e-HDi Airdream with its stop/start for maximum economy up to 64mpg. Even the 2.0-litre HDi 160 should manage 55mpg though. The EGS gearbox is an automated manual rather than a proper auto and changes are somewhat jerky. Inside a sculpted dash and chrome rims to the dials make for a pleasant environment with the panoramic windscreen making it feel light and spacious. There's ample room for two adults in the back – three at a squeeze – and at 370-litres the boot is bigger than a Golf's. 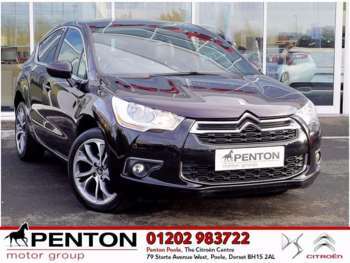 The used Citroen DS4 is competing with everyday Golf or Astra-sized five door hatchbacks but it's designed to make you feel like you've bought something much more special. 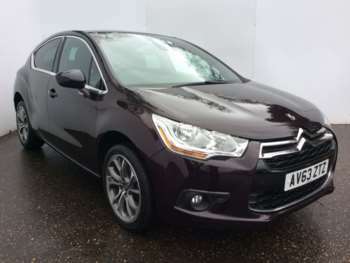 The cabin is spacious and comfortable, the engines are good and there's plenty of kit to play with, just don't expect it to deliver a sporty driving experience. 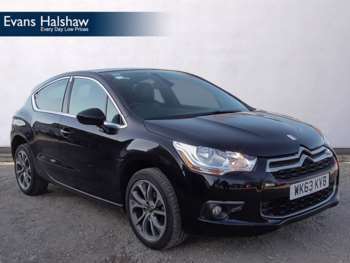 Got a specific Citroen DS4 model in mind?